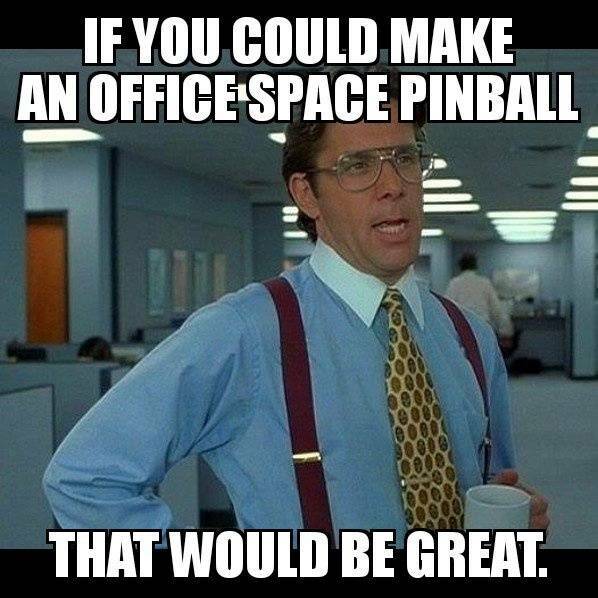 » Forum » All Pinball » Office Space as pin Title? » Office Space as pin Title? Office Space as pin Title? I posted a joke in the deeproot thread concerning their Quad building technigue, aka No Assembly Line, and it made me actually start thinking this would be a good title for a pin... Stapler ball lock, three amigos on the pop bumpers and a copier/fax machine in the middle... mini game mode could be Don’t jump to a conclusion... all kinds of ideas start boiling up... Collect Flair mode... shoot shots to get cool “Flair” and extra balls... Could have Inatek and Chochtkies buildings... Inatak lights up in yellow and orange from internal lights to simulate burning down. Shoot the restaurant and have interactions with Waitress etc... TPS report mode where your being baraged by every guy about your TPS report, shooting a shot to shut each one up... “Yeah, I’ll get right on those...” I mean this thing writes itself. Worst theme idea I've heard since The Bible. And keep in mind like 20 new themes are suggested daily. Printer bash toy leads to PC Load Letter Multiball. "Shooting lit shots collects flair!" "Avoid hitting standups to help Peter 'miss' work"
Bash the printer to watch "Kung Fu"
Finish all modes to "Jump to Conclusions"
The mech designs itself... it would act just like a stapler, it could be designed exactly like one too. Love the film but its not pinball material. I understand your preference. But there are a lot of cube dwellers who play pinball, I know because my league is full of them. This is spot on marketing for people who have lived the life and now make bank enough, me included. The LE could even have 37 pieces of flair! If I had a million dollars, I think I'd want a pinball with 2 playfields at the same time. 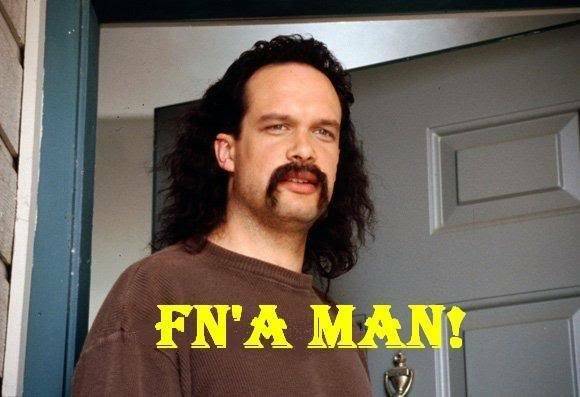 That Office Space was a good film, but not “pinball material” to you... you stated it pretty clearly. I understand your preference in that regard, no other. In a bizarro world where Dutch Pinball was a success, this would’ve been a perfect second pin for them. Too many great (and short) callouts to not work. Plenty of plot paths to use as modes as well. I’d enjoy playing a game like that. If I was a designer at DR (or Stern, or API, or JJP,) or any new company that was looking for a licensed theme to be their first pin title, this would be a no-brainer in my book. I bet the “37 pieces of Flair waiter” actor guy is available for callouts, he just lost his “likesness rights” lawsuit. Anyone know Mike Judge personally?